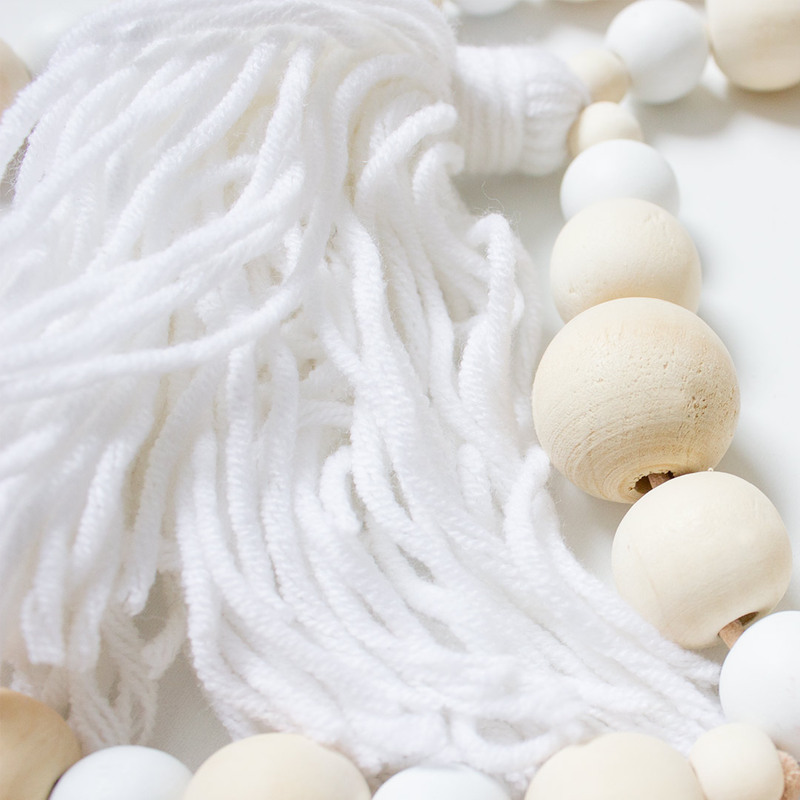 The Tassel Garland – White by Tiger Lily brings an earthy boho feel to your little one or teenager’s room. 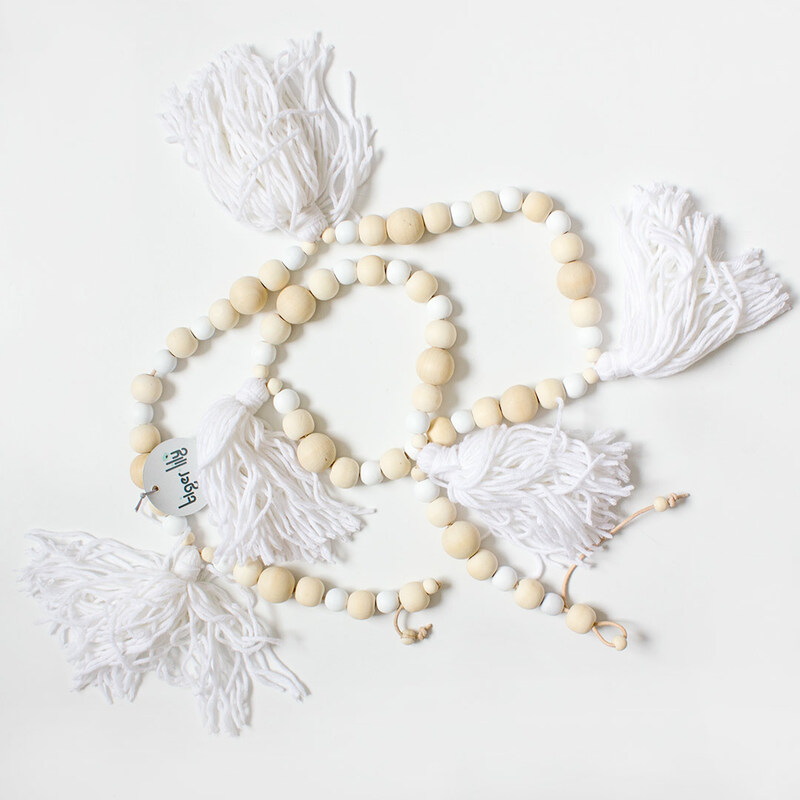 The garland features a string of natural and white wooden beads interspersed with five white tassels, perfect for draping on bed frames, curtain rods or walls. 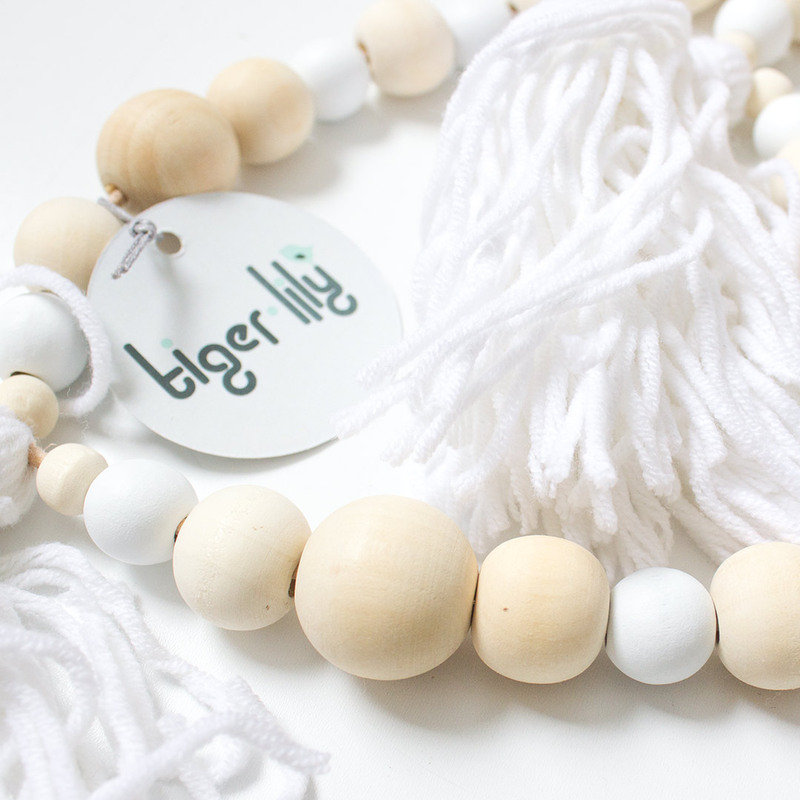 The creators at Tiger Lily carefully selected components that complement adult decor throughout the home. Each product is individually crafted and careful quality controls ensure consistent quality.